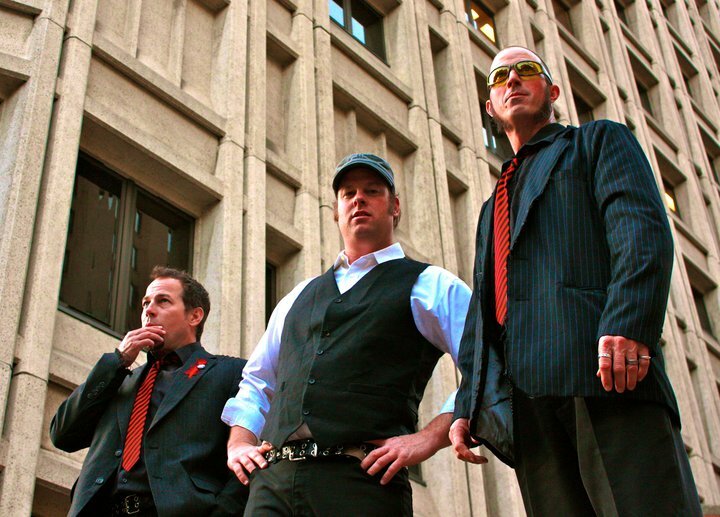 Since 2006, powerpop trio FORTUNE 500 has been rocking fans all over the great Northwest with their high-energy, hook-laden and harmony-driven music. After playing for several years in successful bands together and seperately, Matt Lessley (guitar/vox), Scott Storie (drums/vox), and Andy Brown (bass/vox) got together to produce what has been described as a “Green Day-Weezer sandwich with a crunchy Beach Boys middle”. Their live shows crackle with energy; the catchy melodies and engaging lyrics will stick in your head for days. With the release of their first album in 2007, Fly to the Sun — which has sold several thousand copies — the band firmly positioned itself as the remedy to bland radio rock and cloned pop/punk boy bands. The positive reviews were overwhelming, and the title track — a guitar-driven, harmony filled gem that evokes visions of sizzling summer road trips — has been included on several indie compilations and added to numerous playlists on both internet and public radio stations. The band’s highly anticipated sophomore release, Flavor of the Year, was released in the Fall of 2010. Chock full of the same great rock and powerpop that put F500 on the map, this album also brings in a pinch of punk and a dash of reggae. The members of FORTUNE 500 have shared the stage with such acts as Presidents of the United States of America, Everclear, Cowboy Junkies, 54-40, The Posies, Buckethead, Hoobastank, Harvey Danger, Clumsy Lovers, Tommy Tutone, Karl Blau, The Boss Martians, and EVEN Quiet Riot!